HHS Secretary Alex Azar announced the challenge at a U.S. event co-hosted by the Bill & Melinda Gates Foundation, the Pew Charitable Trusts, the United Nations Foundation, Wellcome Trust, and the CDC Foundation. 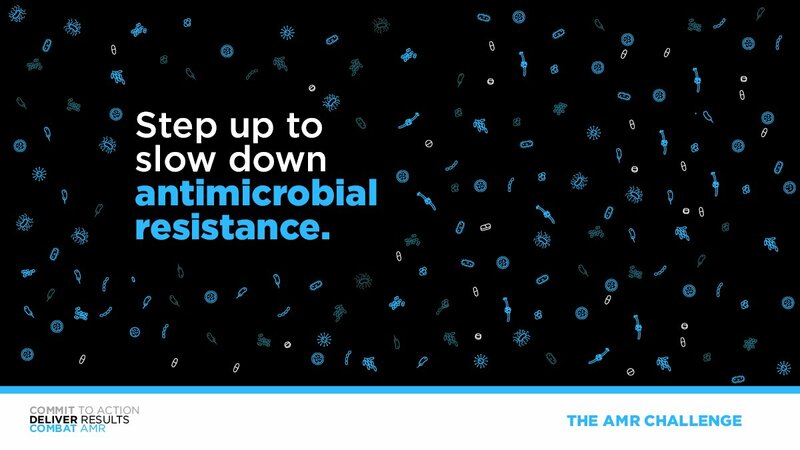 Secretary Azar unveiled the first commitments from more than 100 organizations intent on building on progress against one of the greatest global public health threats, among which is also the AMR Industry Alliance. The evening event commenced a “commitment year” wherein organizations worldwide are invited to take action. Event attendees included industry and world leaders, including Secretary Azar; Tedros Adhanom Ghebreyesus, Director-General, World Health Organization; Dr. Balram Bhargava, Director-General at the Indian Council of Medical Research, New Delhi and Secretary, Department of Health Research; and Anand Anandkumar, CEO and managing director of Bugworks Research, Inc. The AMR Alliance, which represents more than 100 pharmaceutical companies, agreed earlier in 2018 on a framework that promotes responsible antibiotic manufacturing. Last week, these companies took a further step by publishing the first list of targets to guide environmental risk assessments regarding the discharge of antibiotics and their residue.